You can find this red house in Gamlebergen. Gamlebergen is an outdoor museum in Norway where you can find all the old houses which are not demolished, but instead moved from their old places to this amazing museum of bygone days. 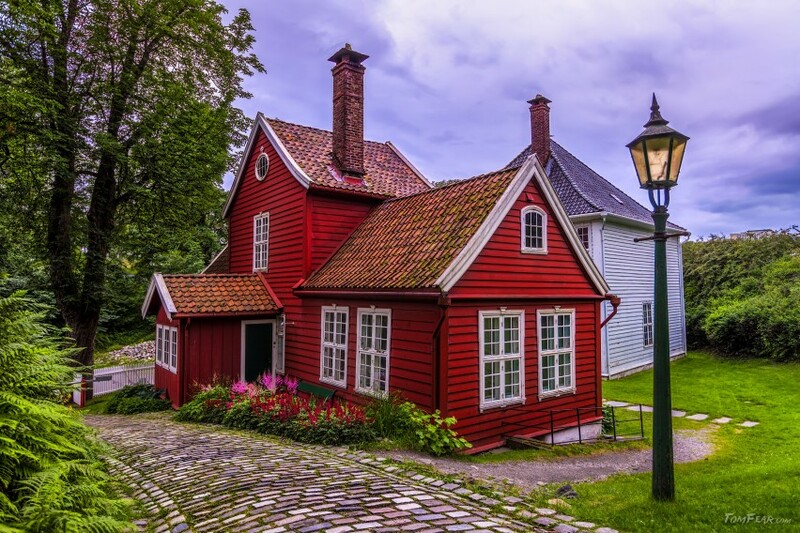 What ever the reason was, it is very characteristic in Norway and you can find all over the country these beautiful red houses.